Expert Stump Grinding in San Diego with Affordable Rates. 🌳Industry’s Best Stump Grinding Techniques. The Highest Quality, Most Affordable, Stump Grinding and Removal Services in Poway, El Cajon, Santee, La Mesa, Escondido, Vista and surrounding areas. 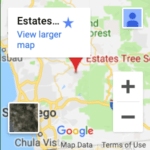 Estates Tree Services is proud to offer Stump Grinding services throughout San Diego County, we are a family owned and operated business that has been helping San Diego Residents since 1992. Stump Grinding is essential if you’ve had a tree removed from your property and you want it to look good! Often times home owners, business owners or property owners have trees removed but they leave the stumps, this is unsightly, hazardous and in many cases, the tree that you paid to have removed will begin to grow back! Estates Tree Services offers FREE stump grinding estimates to our customers and we will come to you anywhere in San Diego County. Our trusted staff of experienced tree care experts has seen it all, you will be in good hands when you go with Estates Tree Services, a licensed and insured San Diego Tree Service Company. The Importance of proper Stump Grinding Services. Stump Grinding services are necessary after Tree Removal, once your tree has been cut down what will remain is a tree stump, depending on the quality of the Tree Service that cut down the tree on your property your tree stump may be large or cut evenly with the surface of the ground surrounding it. Stump Removal will prevent the tree from growing back in the same location, often times home and business owners have their trees removed due to dangers presented by large trees or proximity to structures surrounding the tree. Our Stump Grinding services in San Diego come with 100% free estimates, we will evaluate your exact needs and provide a no cost written estimate. We have thousands of satisfied clients throughout San Diego who have had tree stumps removed by us and we guarantee that your tree stump will never grow back. We begin the job by cutting the tree stump down to the lowest possible point, we then use a stump grinding machine to chip the remaining wood. There are different sizes of stump grinder machines that allow us to go down 6-8″ below the surface of the ground while keeping the surrounding area intact and looking great. You can count on Estates Tree Service to safely and affordably remove any size tree stump from your property. We have over 25 years of experience with stump grinding and removal in San Diego County. We service the entire county from Poway to Escondido, La Jolla, Coronado, Santee and more. No matter what type of tree or your location in the county Estates Tree Services will bring our experienced staff and industry-leading equipment to your job site to safely and efficiently complete your stump grinding service. Estates Tree Service offers service to both commercial and residential Tree Service clients. Our job always begins with a free estimate on-site, we will go over your needs, and evaluate the best plan of action which allows us to give you the most affordable and accurate price up front so there are no surprises. 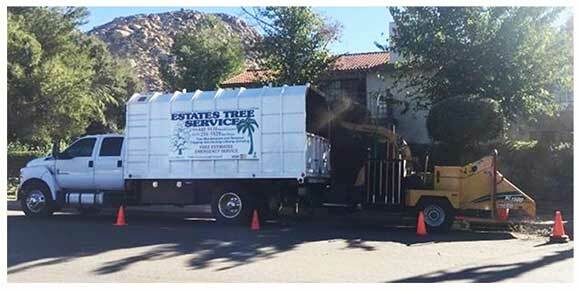 If you need stump grinding in San Diego call Estates Tree Service at (760) 440-9138. You may also be interested in our Tree Trimming services or Tree Removal Services in San Diego, often times during our free estimates customers inquire about other services offered by Estates Tree Service, we will be happy to provide estimates to you for anything you need. You may also be interested in our Palm Tree Trimming and Removal Services.